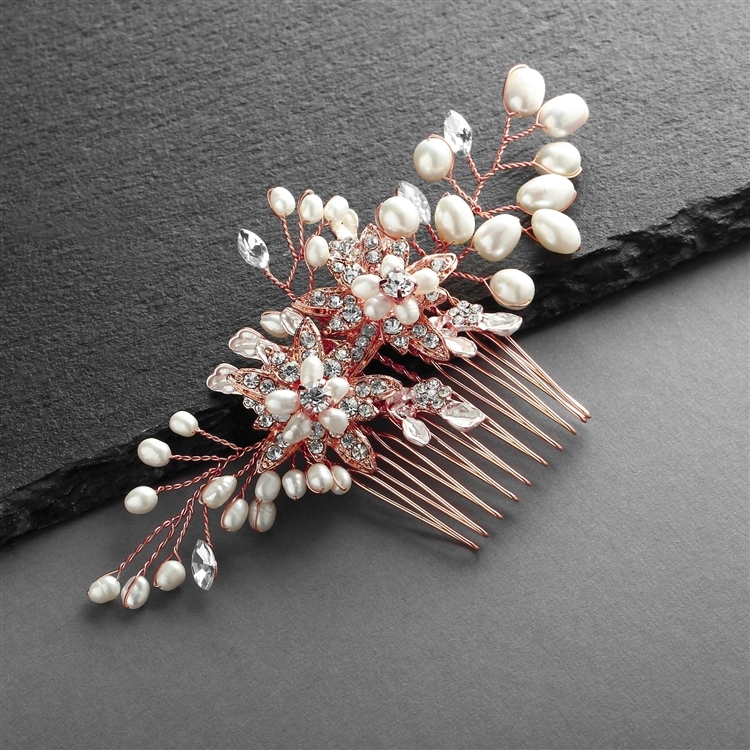 Made with freshwater pearls and hand-enameled matte pink leaves, this floral bridal comb is truly a work of art. It measures 4" w x 2 3/4" h, and the silver and pearl vines can be adjusted to form the perfect compliment to your hairstyle. Made with Genuine Freshwater pearls and Austrian pave crystals, this floral bridal comb is truly a work of art. 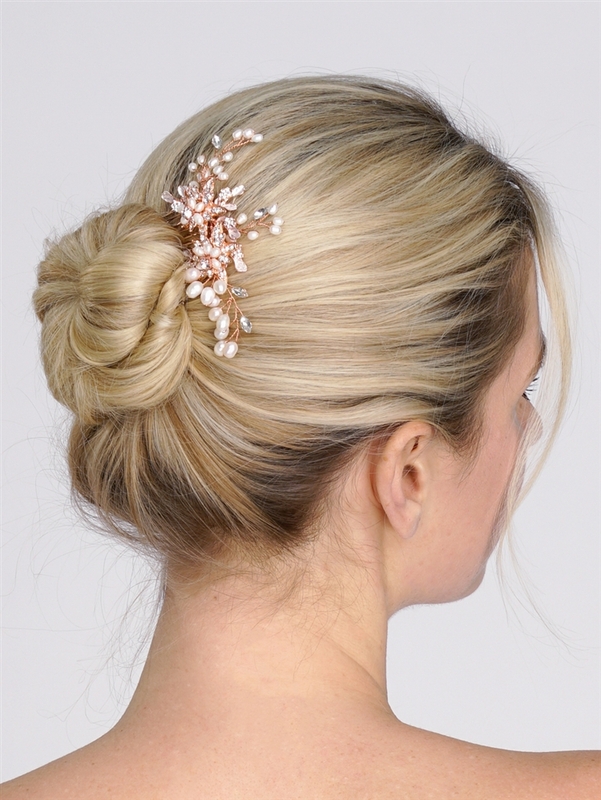 It measures 4" w x 2 3/4" h, and the matte rose gold and pearl sprays can be adjusted to form the perfect complement to your wedding or party hairstyle. Whether tucked behind your ear or slipped into un updo or low swept bun, we promise you'll make an unforgettable statement in this top selling headpiece. Treat yourself or someone you love to some seriously romantic sparkle with this fabulous side comb. After the special day, wear this nature-inspired hair accessory for honeymoon walks on the beach, romantic candlelight dinners or summer cocktail parties - for a glistening finishing touch. Fall in love with this incredibly popular and irresistibly affordable hair accessory or your money-back. Lifetime Guarantee.